Who has the cure for cancer? In the world today, cancer remains one of the most serious health problems. Nearly 10 million people die from cancer each year. Likewise, one in every six deaths is due to some form of cancer. The economic impact in the U.S. alone has been estimated to reach as high as $1.6 trillion annually. Therefore, it’s no surprise that any major discovery enhancing cancer therapy might get the attention of the Nobel Prize committee. That is precisely what happened this year. Bold Business is doing extensive coverage of precision medicine and we are thrilled to see immunology for cancer research as a recipient of this award. This is truly a bold solution to solve one of society’s greatest health epidemics. Recently announced, the Nobel Prize winners in science (medicine) in 2018 will be Jim Allison and Tasuku Honjo. Both researchers made tremendous advances in immunology cancer treatments. They have paved the way for an entirely new era of cancer treatments—especially in our time when the question, “Who has the cure for cancer?” is ever more continually uttered. Interestingly, Allison and Honjo made comparable discoveries in immunology cancer treatments independent of one another. Allison was pursuing interests while at the University of California at Berkeley in the 1990s. In studying a cell protein called CTLA-4 on immune T cells, Allison discovered this protein halted immune T cell action. In other words, when the CTLA-4 protein is active, it prevents the T cell from attacking cells. Allison’s thought was to inactivate the CTLA-4 protein with a targeted antibody. In doing so, the immune T cell would become more active against unwanted cells like cancer cells. At the same time, Honjo was working at the Kyoto University’s Institute for Advanced Study. His work also involved researching the effects of cell proteins on immune T cells that turned off the immune reactions. However, instead of identifying the CTLA-4 protein, Honjo found another protein called PD-1. Like CTLA-4, PD-1 also tells the immune cell not to attack a cell. Thus, like Allison, Honjo postulated shutting off this protein with an antibody could have profound effects on immunology cancer treatments. Today, the FDA has approved several immune checkpoint therapies for cancer treatment. In 2011, the first anti-CTLA-4 therapy was approved thanks to Jim Allison’s work. Specifically, this drug is effective in treating melanoma in some patients. Patients included former President Jimmy Carter who was diagnosed with metastatic melanoma. However, anti-PD-1 drugs have been more numerous and known to treat a wider array of cancers. These include not only lung and renal cancers but also some lymphomas. These practical applications of Allison’s and Honjo’s work are the reason they were selected as Nobel Prize winners in science. Allison and Honjo made comparable discoveries in immunology cancer treatments independent of one another. Others research pioneers in immunology cancer treatment were strong considerations for the Nobel Prize in science as well. For example, three notable researchers were involved in the discovery and application of PD-L1 protein therapies. Specifically, Gordon Freeman of Dana-Farber, Arlene Sharpe of Harvard, and Lieping Chen of Yale all participated in this research. PD-L1 protein is involved in binding to PD-1. Plus, blocking PD-L1 also effectively inhibits this checkpoint on T cells. 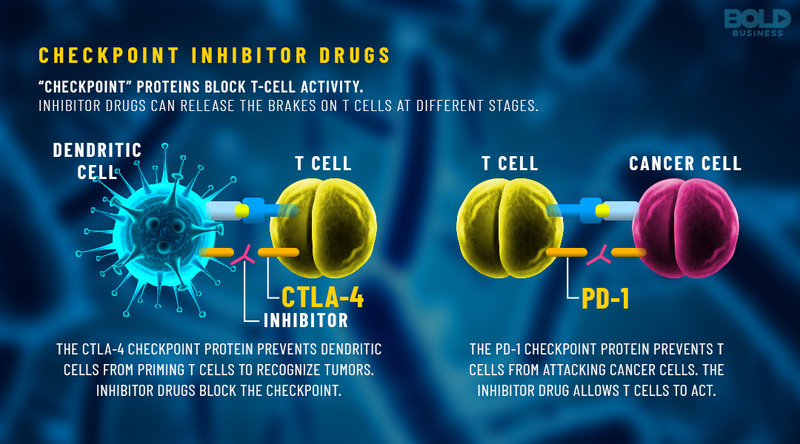 In fact, drugs that block PD-L1 protein have actually treated a higher number of cancer types than anti-CTLA-4 drugs. Thus, any of these researchers could have also been strong candidates for the award and be the Nobel Prize winners in science. Allison and Honjo have gained well-deserved recognition for their work with CTLA-4 and PD-1 proteins respectively. Nevertheless, checkpoint therapy drugs in immunology cancer treatments are just getting started. To date, drugs used to block CTLA-4, PD-1, or PD-L1 have been approved for use. However, two additional checkpoint therapies are in the works. Specifically, blocking a protein called LAG-3 (lymphocyte activating gene-3) not only activates attacker T cells but inhibits regulator T cells. This occurrence potentially may have an enhanced effect for immunology cancer treatments. 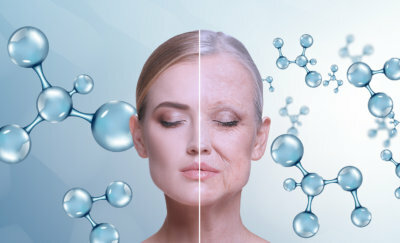 Also, blocking another protein called B7-H3, which normally inhibits several immune system cells, could have dramatic effects in treating cancers. These more recent discoveries—plus exploring the use of combination therapies—are where current checkpoint therapies are moving. The question, “Who has the cure for cancer?” veritably comes up in our search for the best cancer treatments. Nonetheless, with the advances in immune checkpoint therapies for cancers, today’s options for cancer treatment have advanced greatly. Currently, immunology cancer treatments include monoclonal antibodies that promote immune attacks on cancer cells to cancer vaccines. These treatments plus immune checkpoint therapies are prolonging cancer survival rates significantly. However, additional cancer treatment options are on the way. For example, next-generation sequencing allows frequent DNA determinations of cancer cells to better target treatments. Similarly, biomarker personalized therapies align precision medicine techniques with rapidly changing cancer cell types. In all probability, Allison and Honjo will not be the last Nobel Prize winners in science for revolutionary cancer discoveries. So, what’s next for these Nobel Prize winners in science? For Jim Allison, he is currently the chairman of the Immunology Department at M.D. Anderson Cancer Center. For Tasuku Honjo, he remains at Kyoto University as an eminent professor and researcher. Both Nobel Prize winners in science will split the $1 million award for their contributions to medicine. Without question, these Nobel Prize winners in science have completely changed the direction in which cancer research and treatment is going. Thus, as a result, they are certainly deserving of this prestigious award.